2014 is coming and like many of you I have some resolutions for the New Year. Before that I wish you a new year full of success and happiness. Year 2013 was a year that I did some speaking on webinars such as PASS DWBI virtual chapter, I’ve also done some international speaking such as TechEd, and PASS Summit 2013. PASS Summit 2013 was my first experience in Summit and even in US, I’m glad that I meet lots of SQL Server professionals by person there. I’ve spoken in SQL Saturdays and user group meetings. I also wrote major section of my new book on Microsoft Business Intelligence with SQL Server which will be published soon by Packt Publishing. I’ve also started Radacad.com website with some tutorials on SSIS 2012. 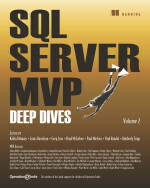 I’ve wrote some blog posts in on SQL Server mostly SSIS, MDS and BI. And I was participated in forums (not as hyper-active as I was in previous years). Continue reading "Year 2014 Resolution"
This summit was my first summit ever, and I enjoyed the conference so much, Quality of presentations and session was high as I expected that. I’ve met lots of MVPs, Speakers, Blog and Book Authors, and SQL Server geeks that I knew online, but hadn’t chance to meet them in person. I’ve met Andy Leonard, Todd McDermid, Jen Stirrup, Thomas LeBlanc, Brian Knight, Julie Koesmarno, Melissa Coates, Rafael Salas, and many other SQL Geeks (If your name is not listed here, that is my memory’s fault, I apologize about that). It was my pleasure to meet you all there. Continue reading "PASS Summit 2013 – my first PASS Summit experience"
Script of my interview with Packt Publishing about my latest book Microsoft SQL Server 2012 Integration Services: An Expert Cookbook. published on PacktPub website here. If you want to read more details about the book read this post. Continue reading "Interview with Packt Publishing"
I will be there also to help you and would be happy to meet you and show you SQL Server 2012 great new features. In the name of God, who is beside me on every success and support me on every fault. This blog will be include my technical and diary posts.